Sonny complains to Carly about Ava and how she thinks she&apos;ll beat the system. Carly reassures him that the police have the recording. She is more worried about Ava getting her hands on Morgan again. Sonny believes Morgan won&apos;t fall for Ava now that she betrayed him. Carly feels Morgan needs to see a doctor and get a diagnosis. Morgan&apos;s upset with Ava for playing him and wonders why she didn&apos;t trust him with the truth. Ava reminds him that he turned Sonny onto her when she was pregnant. Ava feels deep down, Morgan knew the truth. I tell my television that Morgan barely knows the truth now. That boy is not the sharpest knife in the drawer. Ava tries to draw him in, telling him that they have a powerful connection, she loves him and that they can be together. Morgan tells her that he wants to start fresh with Kiki and that they are finished. Morgan wants Ava to keep quiet about the affair. Kiki pays Franco a visit, accusing Nina of killing Silas. Franco is turn points the finger at Ava. Kiki is certain her mother is innocent. Kiki wonders how long Franco knew that Ava was alive. Franco tells her that Ava needed him to steal the recording and explains the fight with Silas. Kiki is certain that Silas&apos;s call to her was about Ava being alive. Franco tells her there&apos;s more to it, and it involves Ava and Morgan. Maxie agrees to help Dillon with his movie wardrobe, but not before ripping him for not coming to Georgie&apos;s funeral. 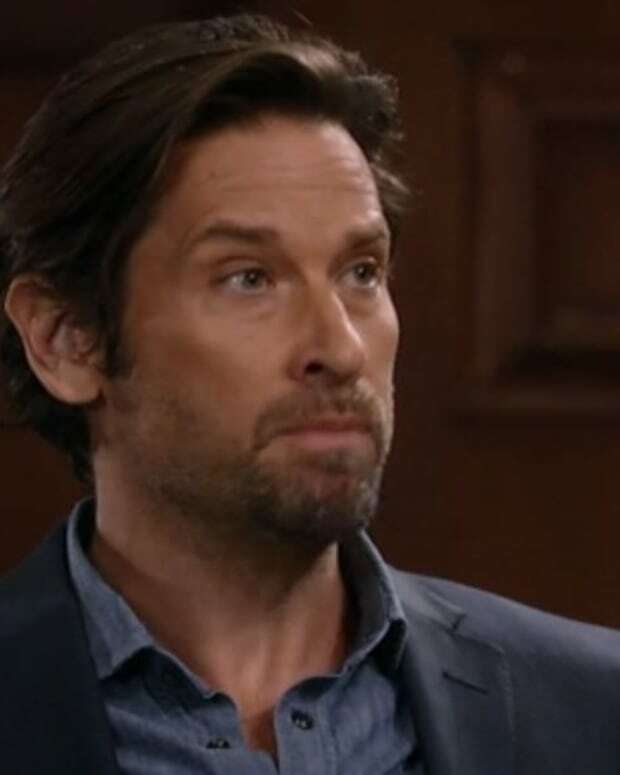 Julian accuses Ric of doing Sonny&apos;s dirty work because he and Ava have targets on their back. Ric denies this. Julian warns he&apos;ll use the newspaper to get back at Ric. Nathan and Dante tell Jordan their theory about who killed Silas. She gives them the green light to arrest that person. When Ric arrives at the station, Dante places him under arrest. Nathan claims they have evidence that implicates him. Julian tries to find the recording, but Jordan finds him and kicks him out of Ric&apos;s office. Let me just say, I&apos;m not a fan of what Ric Lansing is doing, but I adore Rick Hearst. I&apos;ll be very upset if they make him Silas&apos; killer. I&apos;m really hoping that it&apos;s Madeline, and she&apos;s framing Ric so she can keep all the money.